When it comes to hair I am forever lathering it with hair care products to keep the condition well. I use quite a lot of hair oils as well as hair masks. I love using hair masks every week because it's like that lovely intensive hair treatment. 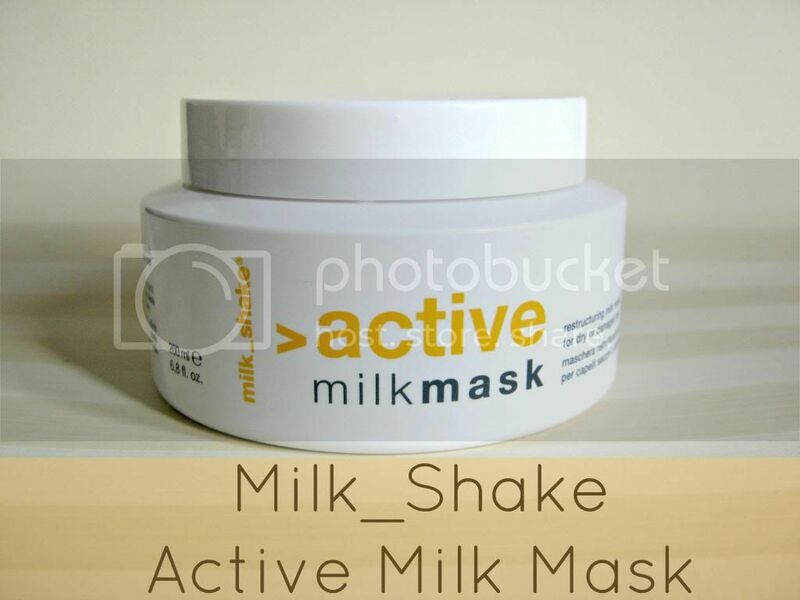 Over the last month I have been using the Milk_Shake Active milk mask* which sounded quite interesting to me! I mean a milk mask? It has to be good right? The Milk_Shake active milk mask is a hair mask (£13.69) for dry coarse hair, which I've recently been suffering from because of this terrible weather. This is a very rich mask based on milk proteins which I feel sounds like something that would do wonders to your hair be cause milk itself has a lot of nutrients. Other than that it also contains avocado and rice oils as well as vitamin E. I've used this several times and I am in love. This has a really good consistency. It's not a mask that's too thick where you'd need a lot for one application and not too thin either. It spreads out evenly into your hair. At first I didn't notice a huge difference, like how some masks instantly give your hair that silky feeling. But after using this a couple of times I could see what it was doing. It de-tangled my hair, made it alot more tamed because I do have frizzy hair/too much volume. I just feel like my hair is ever so sleek now. It looks like it's in great condition! My ends have always been quite dry but since I've been trying this out, my ends look alot more nourished. It took me a while to figure out what exactly this mask smells of. After smelling this everyday, I figured it out. It smells very similar to vanilla ice-cream, so it's quite a sweet smell but not sickening. Very yummy indeed. You can purchase the Milk_Shake Active Hair Mask from Hairtrade.com which is one of the UK's leading online retailers of hair extensions and hair care and beauty products. Have you tried the Milk_shake active hair mask? I think it'll be great if you're hair is looking coarse. Really nourishes hair! I never tried a hair mask, I think I should give it a try. The vanilla isn't too prominent. its quite subtle. I loved this for my hair! Made my hair appear so much better. More shiny and less frizzy! This sounds lovely! anything containing protein is amazing for damaged hair! I used to use this in the salon I worked at amazing hair mask. And the smell of this is soo nice!